What are they? 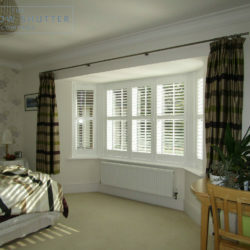 Full Height panels that cover the whole window. 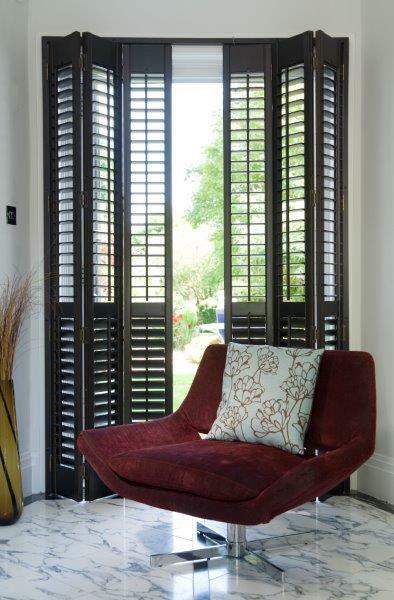 Our most popular shutter style! 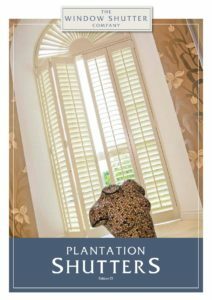 The most common and usually the most practical interior plantation shutter mounting type is known as ‘Full Height’ plantation shutters. 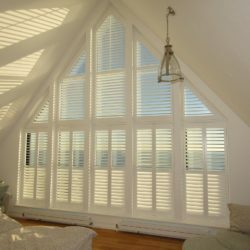 This term refers to the shutter being used to cover the entire window/doorway from top to bottom, using one complete panel. 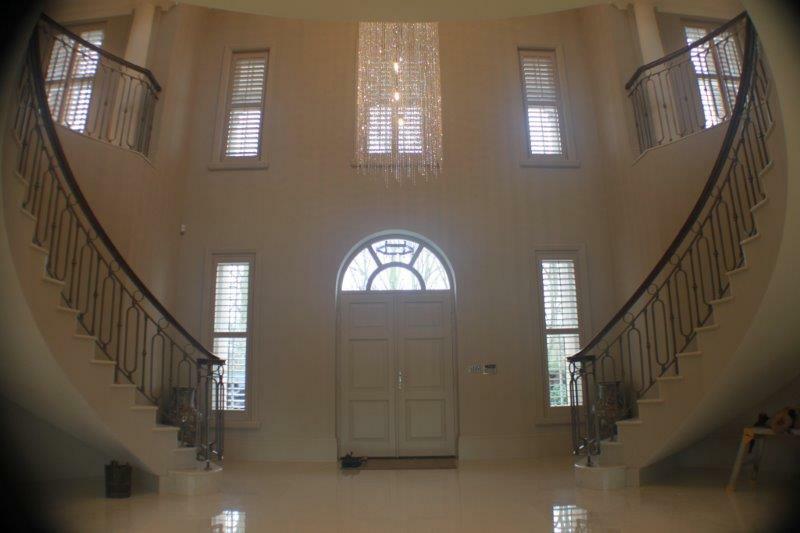 Whether this is from floor to ceiling or sill to reveal top, it makes no difference. 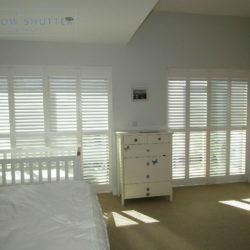 Easily the most flexible mount type and also the most stable, full height shutters make up the majority of our orders. 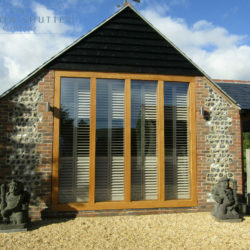 The configuration and style options can then be applied to suit the window that is being dressed. 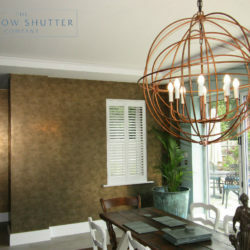 Because the panel fills the framed space top to bottom, it will secure to the frame magnets and sit perfectly, even in an uneven reveal space. 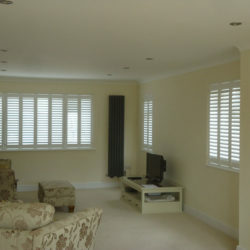 With the use of a mid rail, which is a solid horizontal dividing rail, the shutter can be designed so that the louvres in the top and bottom of the panel operate independently. 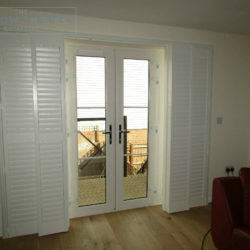 This rail also adds strength to taller panels and can be used to define the shutter. 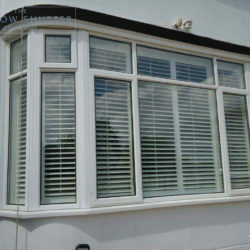 We aim to align this rail with horizontal transoms and glazing bars of the windows so that, aesthetically, the shutter looks as stylish and as much a part of the window as possible. 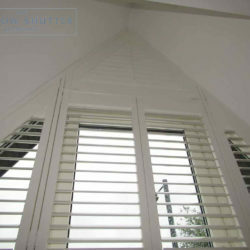 Alternatively to produce the separate louver operation without the mid rail, we can use a hidden tilt mechanism and split the control at an appropriate point. 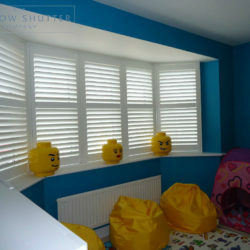 The benefit of independent louver control top and bottom is the ability to provide maximum privacy whilst maintaining light in the room. This is the same concept as using a Tier on Tier mount but with the added stability of a full height panel. 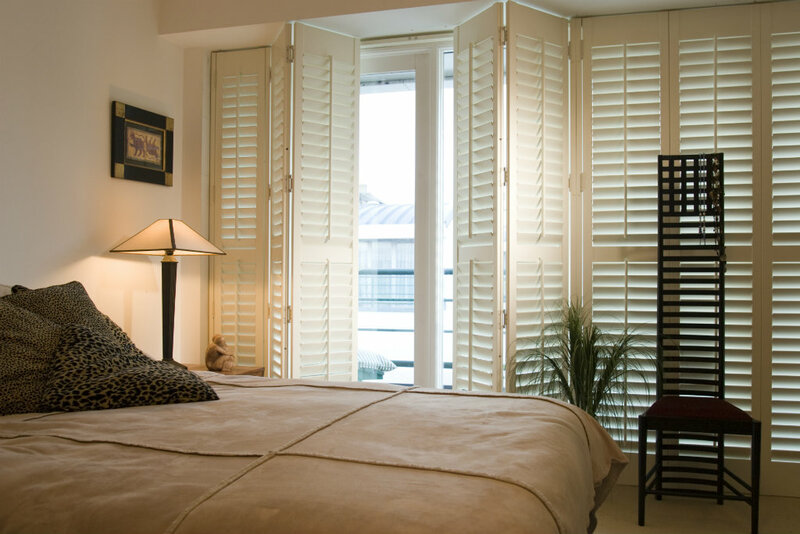 Within the frame unit, a multitude of panel configurations can be applied and the aim is to align the shutter with the window it is dressing. This is the same principle as mentioned when adding a mid rail. 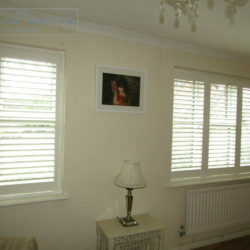 For example, a window with 2 panes of glass lends itself to either 2 or 4 shutter panels and a 3 paned window would suit 3 or 6 panels etc. The important point to remember is that the more panels you add, the more cluttered the window can become and the more light will be reduced. 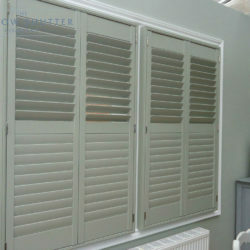 Traditionally, small panels with small louvres were used but this has changed over the years and now it is more common to use fewer, larger panels and a mid-size louver. 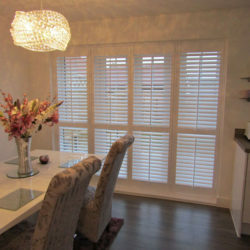 Partly influenced by European designs and also the practical use of shutters, it is a consideration when choosing your shutters that will affect how you use them. 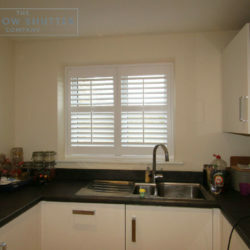 Small panels obviously take up less space if you wish to open them regularly whereas larger panels stick out further or require more space to swing open and fold back. 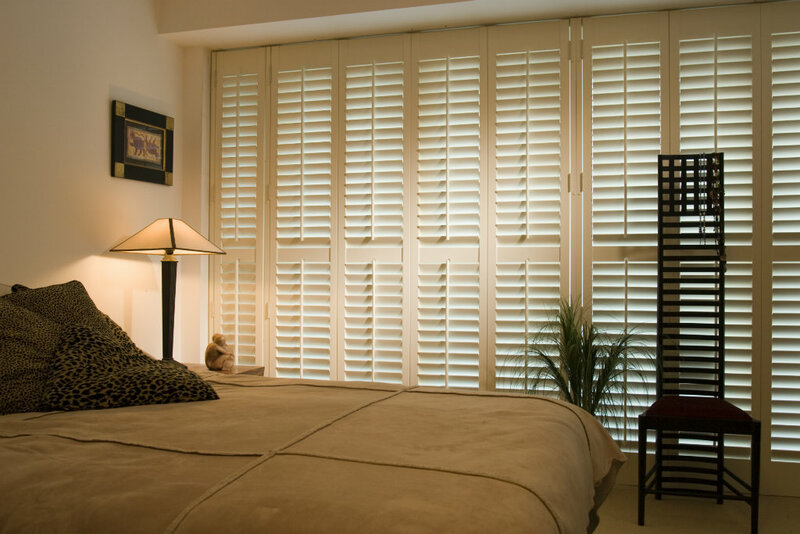 The larger panel option allows for a simple clean design and allows lots of light in the room when using the louver tilt. We will be able to guide you through all the options and benefits at our design visit and will help you choose a style to suit your needs. 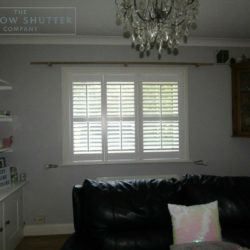 Images of existing works and samples help to draw a picture of how your shutters will look. 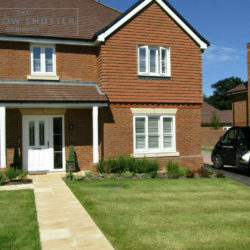 Please see Our Portfolio for recent projects we have completed for our Clients.